Everyday programmers are faced with the ability to make good choices and make bad choices. And when they make the latter, they quite often get lumped into one of the following stereotypes of bad programmers. Beware: generalizations ahead. There’s a saying that “a great programmer can be as 10 times as good as a mediocre one”. No one really wants to be labeled as a bad developer, but the sad reality is that a lot of developers aren’t even aware that they’re bad. So, the question that no one wants to ask themselves: am I a bad developer? If you’re still new to coding and you’re worried if you’re producing bad code, naturally you’re not going to be an ace in terms of ability. But don’t feel discouraged, as there is one major characteristic that makes a developer bad, and as long as you don’t fall into that trap, you have room for improvement (in other words, you’re just green, not bad). At the core they are the same, but they usually exhibit different behaviours. Cowboy coders would destroy a team and they work best by themselves and on a single project with a short life-span. Self-taught coders who never received any guidance in writing usable code are usually in danger of becoming one of these, and many good, experienced programmers have likely been a cowboy at the beginning of their coding careers. So what are key attributes of a cowboy coder? Usually these types of bad devs can churn out new features far more quickly than the average dev, and unfortunately people who don’t know code would think these speedy coders are awesome (which only further bolsters the cowboy’s ego). These devs work best alone and for clients with extremely tight deadlines and who are only looking to get feature out as soon as possible. SEE ALSO: Do slower programmers get there faster? The code design of quickly built projects would be a complete mess (or rather, code design is non-existent). This sort of messy code is often referred to as “Spaghetti Code”, which is not at all as tasty as it sounds. Spaghetti code is difficult to understand and is usually unnecessarily large and complex to the point where others will find it difficult to understand what the programmer does, and thus it is usually a nightmare to maintain. This means decreased productivity for the whole team if anyone is unfortunate enough to have to work with a cowboy coder. If a company’s software grows larger and more complex and their code is still a pile of spaghetti, then it’s just a ticking bomb waiting to explode. At the worst it would cause problems as severe as Toyota’s unintended acceleration. Everyone can agree that the Toyota car recall was a disaster. It’s also never pleasant if your software happens to enter the hall of shame at the Daily WTF. What’s more, spaghetti code is not extensible. This means that adding new features to a Spaghetti code is like walking in a minefield that will explode, no matter how large or small the step and what direction you take. This is usually because a cowboy coder jumbled every functionality together, so any change would break the software altogether. This could be prevented with better code design and/or unit tests, but of course, cowboys don’t give a care for whether their code is usable and also don’t care for writing tests (something that takes time). Not to mention, with the way their code is structured thanks to bad design decisions, it’s hardly going to be testable or even debuggable anyway. What usually happens with a cowboy coder is they quickly “fix” some bug, only to create more bugs. They’d likely feel like busy, heroic firefighters who never actually put out the source of the fire. All in all, every bug and error created by a bad developer would cause negative productivity. At first it seems that this cowboy is being super productive by always meeting deadlines other developers won’t dare to promise, but this is at the cost of loads of “unexpected” errors that could have been prevented by well-designed and clean code programmed by a good dev. If you’re spending more than 80% of your development time debugging your own code and if your code is a nightmare to debug (i.e. you end up creating another bug), this usually means the codebase is not good and you may need help with improving your code. Sometimes cowboy programmers are not bad because they want to be, and they’re simply cooking up spaghetti code because management/clients had impossible deadlines (though as the saying goes, any developer who takes pride in their code would GTFO those companies or decline such clients). Many beginners and junior devs go through the mistake of coding without planning and producing a bunch of buggy code, sometimes because they have less experience with these problems so they make bad decisions. These beginners can be easily straightened up by receiving mentorship from experienced devs who take pride in building quality code, as a lot of times beginners are cowboys because they didn’t know better. However, if they’re surrounded by equally bad or mediocre developers, then they would be in trouble of falling into the delusion that they’re good. The most important attribute that makes these programmers bad is arrogance. Bad programmers think their code is perfect and would blame customers for being stupid and for crashing their program rather than reflect on why their software crashed. Cowboy coders are usually selfish devs who don’t have a shred of empathy for others who have to clean up after all the problems they’ve created. What’s more, these arrogant programmers also think others are beneath them in terms of intelligence. 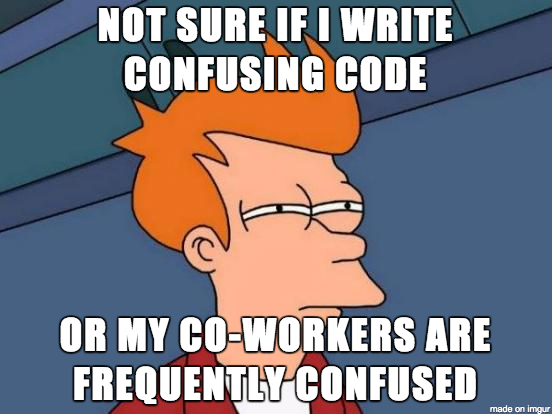 They’d usually assume people who need comments and who don’t understand their code are too dumb to work with them, but never try to think about why people don’t understand their code. As a result of always thinking they’re right and always thinking other people are inferior, they are uncommunicative when they build features, which can cause a lot of problems for a team. Some may think they’re so good that they would sometimes shun “best practices” or “standards” as they assume their own code is better (without good reason). Worst of all, bad programmers are unwilling to listen or learn from mistakes because they don’t acknowledge that they’ve made mistakes—as mentioned before, they usually play the blaming game instead. Do note that this doesn’t mean cowboy coders are difficult people or jackasses in real life—they could be the nicest person you’ve met—but this arrogance and unwillingness to take responsibility for mistakes is usually ingrained in the mental attitude they take whenever faced with criticism. Any decent developer who has had the misfortune of working with a bad programmer likely has a load of horror stories to tell about these types of programmers. No, I’m not talking about the “mediocre developer” in terms of what was referenced in Jacob Kaplan-Moss’s speech at PyCon 2015 on “the Programming Talent Myth“. The mediocre we’re referring to here is the “barely adequate” mediocre. In some ways, the mediocre dev is worse than the cowboy coder because they know they’re not great, but they are usually content with staying at the bottom of the ladder in terms of skill. Unlike cowboys, mediocre devs usually lack in an interest in programming altogether and thus have difficulties with understanding programming concepts. 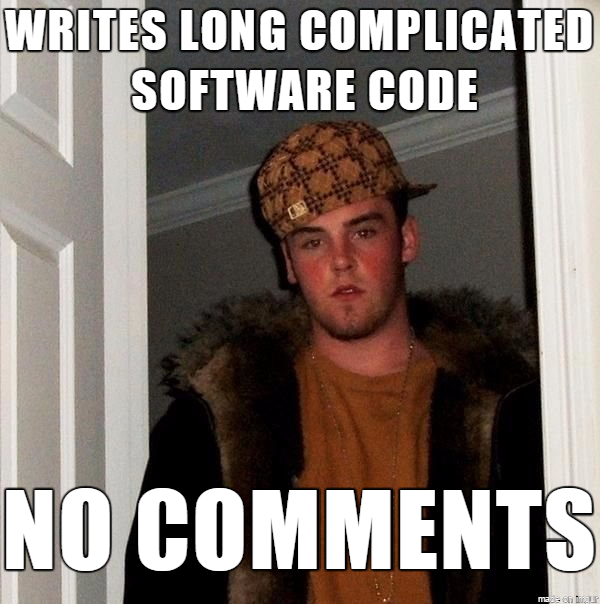 They take a long time to build something, but the code they produce is still subpar and filled with problems. They usually have no passion/interest in coding at all, and they are slow to learn new technologies or they’re practically untrainable. Maybe mediocre devs aren’t as destructive as cowboys because they will play in a team, but they’re definitely not bringing anything to the table and their solutions will always be worse than good developers (they’d usually create a lot of buggy/inefficient code as well due to many bad decisions). There’s not much more to say about mediocre devs. At worse they might also be pasta chefs who drag down the entire team, and at best they’re just barely making it to the finish line. You’ve all likely seen this meme. While this happens a lot, there’s a problem if you don’t then proceed to figure out “why”. At the core of what makes a developer bad is the lack of the desire to become a better programmer. Bad programmers are satisfied and comfortable with the way things currently are. 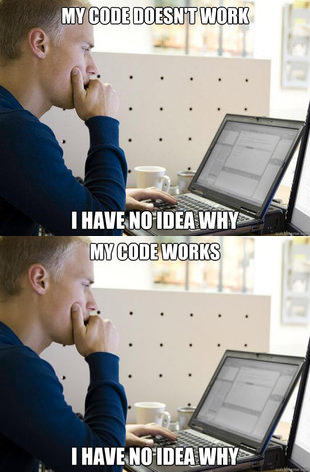 Worse, both cowboys and mediocre coders usually think they know what they actually don’t know. What’s more, a bad programmer is someone who is not interested in learning what they don’t know, and thus not interested in improving themselves. Bad developers would usually copy & paste StackOverflow code without understanding it or tweaking the solutions to fit their own code. This lack of curiosity of how a code works will cause bad developers to have a superficial understanding of the language/tools/libraries they use. Incorporating libraries/packages/what-have-you without reading the source code is also kind of similar to copying and pasting. As Jeff Atwood, the co-founder of StackOverflow says, “Read the Source Code, Luke”. How can you understand how your code works if you don’t even understand the tools you use? Of course, if you’re a beginner to programming, it may seem daunting at first to absorb all the high-level information about why things work this well, but simply accepting things as they are and knowing how to use syntaxes is the wrong attitude to take when learning how to code. On that note, people who always insist on following “best practices” without understanding why those practices are considered “best” can also be categorized as bad programmers. All in all, these guys are also called “cargo cult programmers ”, or “Programmers who understand what the code does, but not how it does it.” Perhaps you don’t need to know every detail of how a large, complex framework works. However, you should at least figure out how the part you’re using works. SEE ALSO: What kind of a developer are you? In addition, bad programmers don’t ever seem to learn from their mistakes, either because they don’t acknowledge they’ve made a mistake or because they have a lack of desire to learn, or the combination of the two. It’s ok to make mistakes and create bugs, because everyone makes mistakes. However, if you continue to repeat your mistakes, this means you’re not learning and that makes you a bad developer. After rambling about bad developers for long enough, you probably already have an idea of what makes a good developer. Good developers should make up the bulk of the development workforce, and they usually have the following characteristics. Ok… quality code is very hard to measure (which is why it couldn’t be included here, but this is an important aspect of what makes a developer “good”). 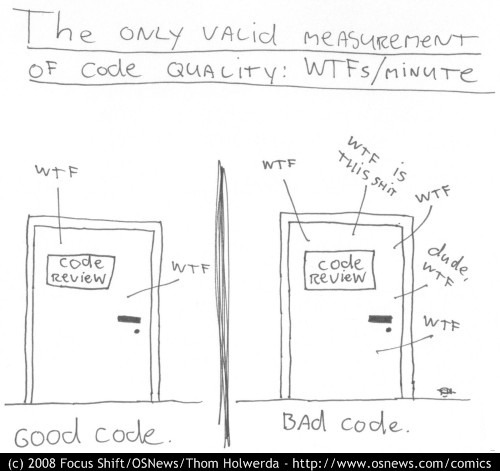 How do you know whether the code you wrote is good? Well, this comic illustrates things perfectly. Good devs are humble, responsible good guys who will get things done and make sure everything works as it should, but they lack the curiosity and passion for coding that will make them “great”. That’s ok, however. Most employers only need good devs and they don’t really have a need for “great” developers. You don’t have to feel pressured to be a “great” developer, as you can’t force yourself to be who you aren’t. You don’t have to feel pressured to be a “great” developer, because those who are really good don’t need any hints—they’re probably already doing these things because their passion and love of coding compels them to. MVP-type developers don’t want to simply just solve problems, but as they know there are many ways to do things, they strive to find the best method to solve a problem. They thrive on challenge and thus always work best on difficult tasks—this is what makes MVPs far more productive than most developers as they are able to achieve what normal developers can’t. Thanks to this love of challenge, however, employers may have difficulty in keeping them if the work assigned to them is too easy or mundane, because MVPs might leave if they get bored. MVP devs usually take great pride in their work and thus they are sticklers for quality and performance. In fact, they would consider many of the edge cases and account for them before it happened. In some cases, they’re their own QA engineer and aim to break their code before users do it. They’re not the type who do TDD blindly because it’s a “best practice”, but they can design a program to greatly reduce the debugging time. As such, an MVP programmer can be at least 10x more productive than a bad one. MVP devs have a strong sense of curiosity and would stop at nothing to find out “why” something works or doesn’t work. They thus spend much time reading about programming as well just to keep up with all the technologies or learn about new things, but they don’t jump on any bandwagons because they are more interested in figuring out things themselves. They are so passionate about coding, they usually program during their spare time as well, either on side projects or simply trying out new technologies, tools, and languages. Finally, MVP devs are confident but humble as they always keep in mind that there will always be someone better than them, and rather than feeling threatened they would love to work with someone better simply because they want to learn from the better developer. These developers exhibit similar traits as an MVP developer with their love of coding and their curiosity in constantly learning outside of work, but they’re not necessarily as productive (though they’re usually in the top tier in terms of productivity as well.) They usually leave just the right comment others need, and take the initiative in documenting things that need to be written down. In general what they do helps everyone else on the team because it’s the documentation that will help everyone on the team be more productive. You can have a team of MVPs but this developer is the one who will make them all work at peak efficiency. SEE ALSO: Burnout among developers – an industry disease? What’s more, these kind hearted souls are the knowledgeable good guys who take great pleasure in helping inexperienced programmers become better programmers. They have deep knowledge of the tools they use and are patient in explaining to beginners why things work, and they strive to make sure that others will be able to understand and learn to improve. Most, if not all, experts on Codementor are these types. They aren’t interested in just solving that pesky bug for you, but they want to help you learn how to be a better programmer. If you want to understand “why” things work and are having a hard time doing so through googling or fishing for answers at StackOverflow, then these are the right people to ask. In the end, the most important factor in becoming a good, or even great, developer lies within yourself. Perhaps it takes talent and a true innate passion to become a phenomenal top 1% programmer, but anyone with an interest in programming and solving problems can be a “good” programmer. If you don’t want to become a good programmer, then no one, not even a great mentor, can help you. You are your greatest enemy, and you should always aim to be a better programmer than you are now. Yi-Jirr Chen is Head of Content at the developer platform Codementor.io.